Since my last update, our group of hospitality, support staff and ski instructors in Whistler have all been busy and working hard, particularly getting through the Christmas and New Year season. This is always the peak time in Whistler and some people clocked up to 19 days of work, back to back! Once January arrived, work eased off for a few weeks, giving people time to enjoy the bumper pay cheques and AWESOME snow that Whistler Blackcomb has been enjoying so far this season. In amongst all of the hard work, we have been really proud to hear of the awards and achievements that some of our group have been receiving from their employers at ski school. At last count, Jo, one of our Den Masters, had earned 4 ‘Above and Beyond’ awards – this has to be some kind of record?! We were also very pleased to hear the news that three of our ski instructors have already taken, and passed, their CSIA Level 2 examinations. Congratulations to Izzy, Justin and Flo. Passing the course in January really is an achievement, especially considering they only became Level 1 instructors 6 weeks earlier! 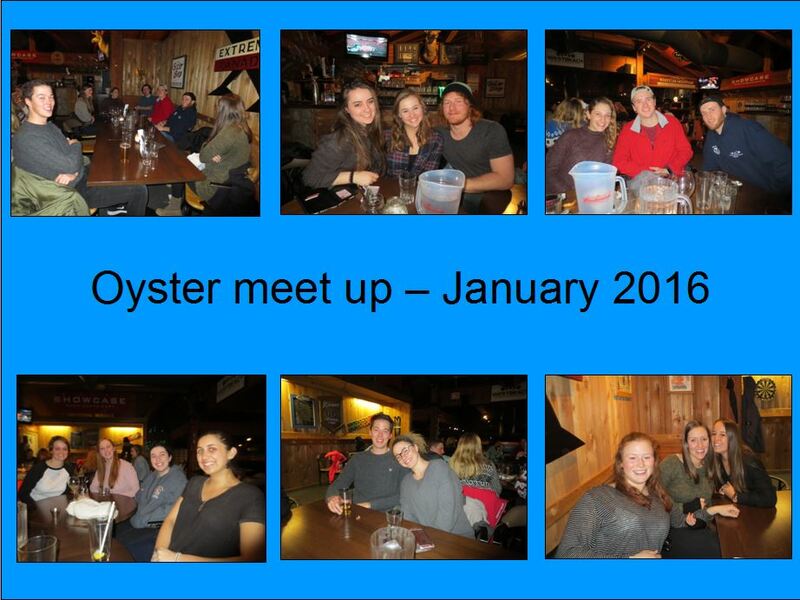 At the end of January, as part of my tour of Canada, I was delighted to spend the evening with the Oyster group. We had a really enjoyable evening at Merlin’s. The burger was delicious and the beer wasn’t too bad either! I always enjoy catching up with people during the season. I get to know everyone well before they begin our programme (through interview and briefings) but seeing them all together, as a group, and all getting on well together is great for me. I’m pleased to report that everyone is happy, loving their jobs and life in Whistler. I suppose the question is, what’s not to like?! Now I’m back at my desk in the UK, I’m busy getting our group together for November 2016. 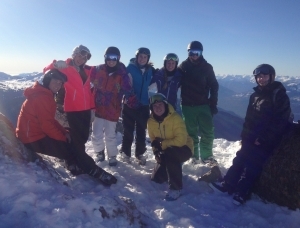 We still have places available so, if you are eligible for a Canadian Working Holiday Permit, it would be great to hear from you and get you involved in our ski instructor in Whistler programme.